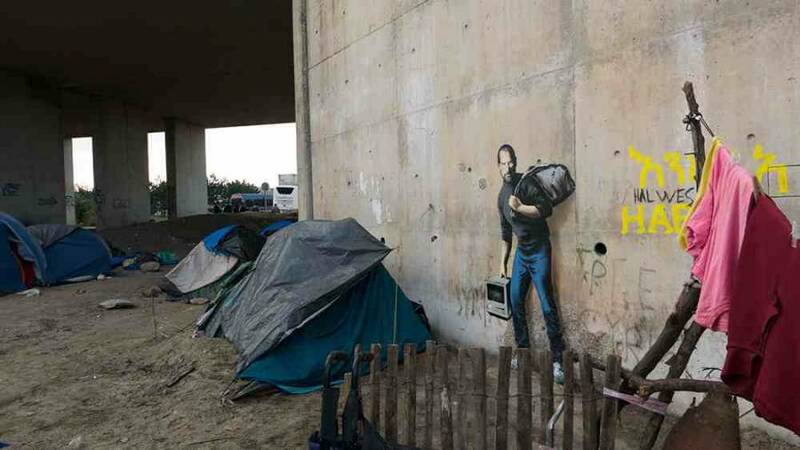 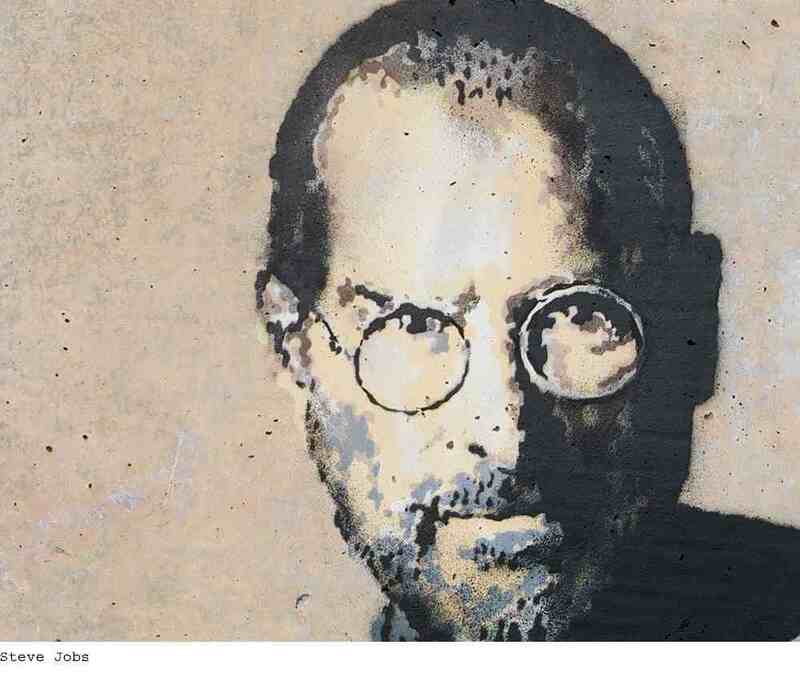 After Dismaland, Banksy continues to hightlight the migrant crisis and horrific living conditions of Syrian refugiees in the Jungle of Calais by painting a portrait of Steve Jobs, reminding us that he is the son of a Syrian migrant. 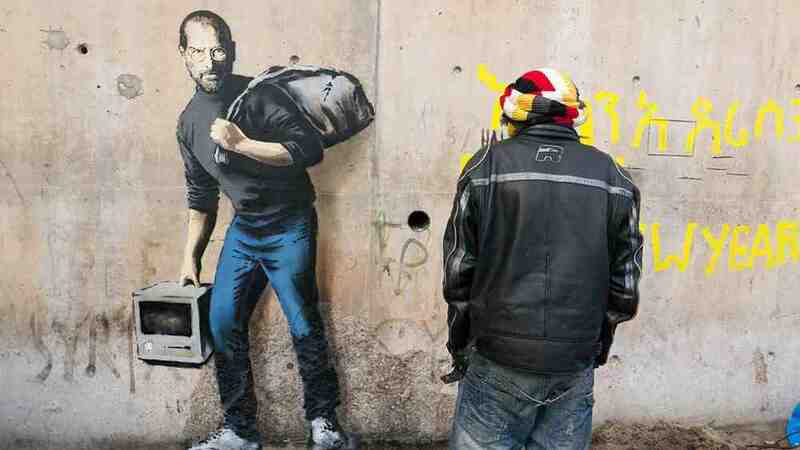 Steve Jobs is depicted carrying a travel bag with his iconic mac computer. 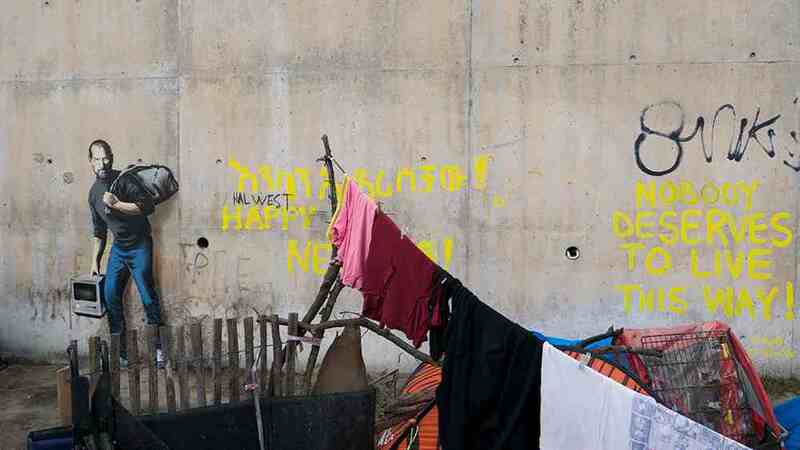 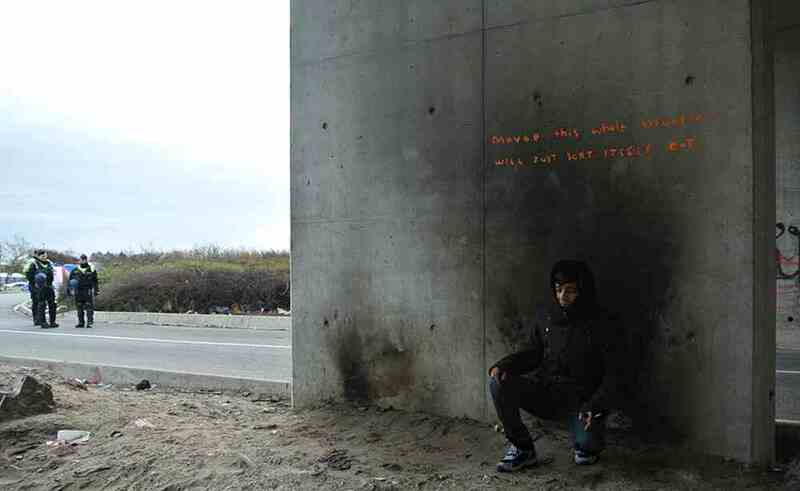 Additional murals and messages have been painted in the camp and the city center of Calais. 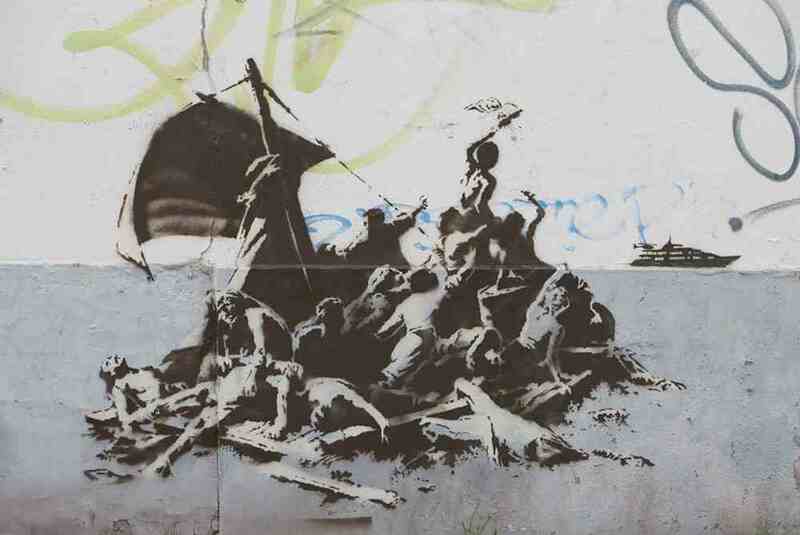 The others pieces are showing a stenciled young girl and her telescope, a text piece which reads “Maybe This Whole Situation Will Sort Itself Out” and a piece showing a refugee raft inspired from the “The Raft of the Medusa” by Géricault and dubbed “Maybe We Are Not All In The Same Boat”. 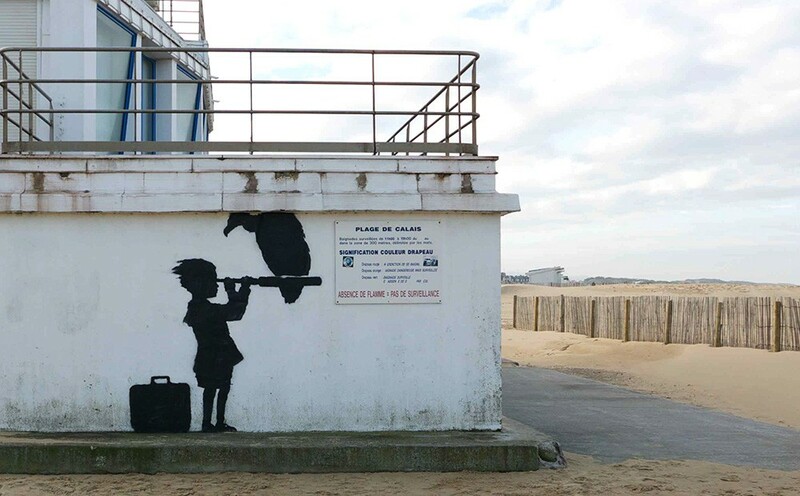 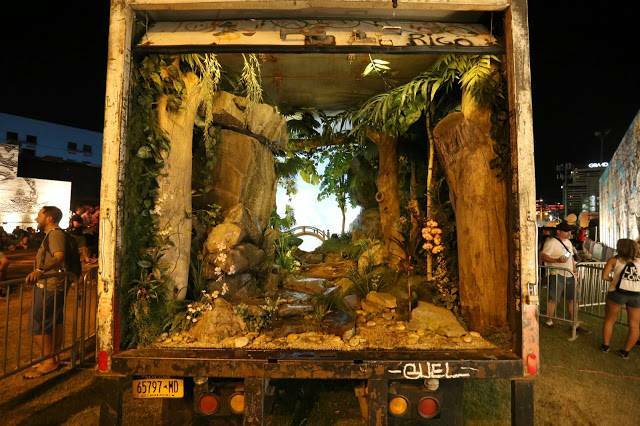 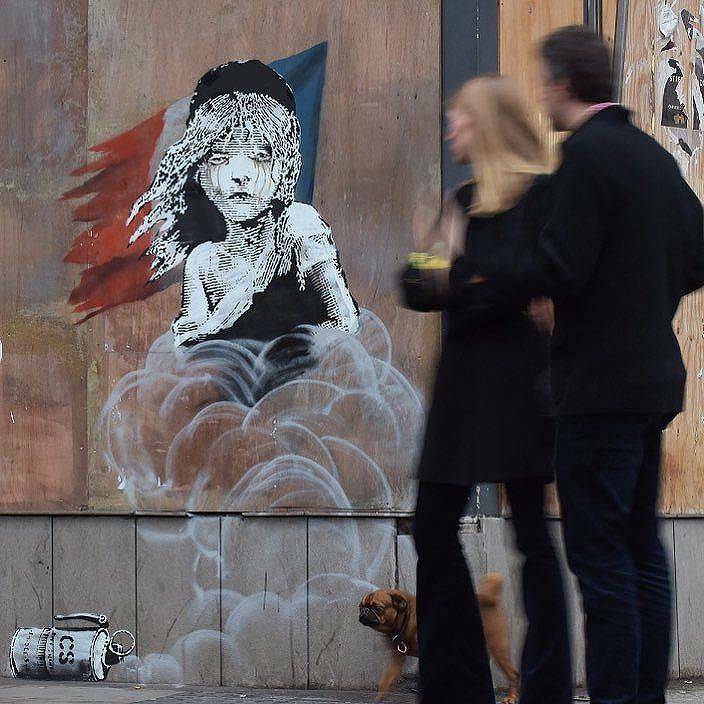 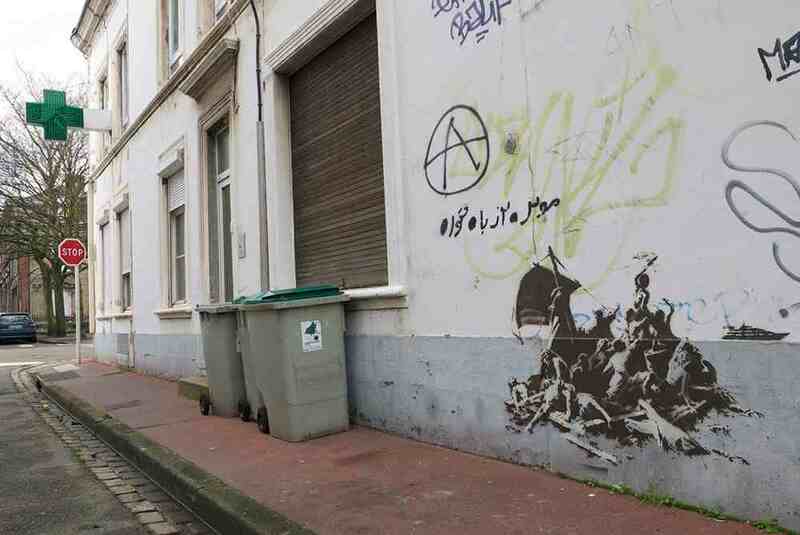 On a side note, this is the first ever time Banksy paints in France.